In case you haven’t noticed, there’s a new kid on the block and you might want to take notice. Opposing force power meters. Say what? Just like the traditional or direct force power meters you have come to know, an opposing force power meter also measures your power. But this is where the similarities stop and the differences start. Direct force and opposing force power meters go about measuring power in a completely different way. Let’s explore. Regardless of the type, DFPMs have one thing in common – they measure torque using a strain gauge. A strain gauge is a tiny, very sophisticated electronic device whose electrical resistance varies depending on how much force (or torque or strain) is put on them. In the case of a crank arm-based power meter for example, the strain gauge measures how much your crank arm is flexing when you turn the cranks. Based on the amount of flex in the crank arm, the strain gauge can determine how much torque you are producing. Opposing force power meters (OFPM) such as the PowerPod, take a different approach to measuring power. Instead of using strain gauges to measure the direct force the rider generates, an opposing force power meter measures power by calculating the forces that oppose the rider. This is called opposing force technology and is Newton’s Third Law: “Opposing Forces equal Applied Forces”. So in the case of cycling, the opposing force caused by wind, gradient, acceleration and friction is exactly the same as the applied pedal force. In addition to measuring your power, the PowerPod comes with free software. The software allows you to analyze your power data in a number of ways in order to help you get the most out of your training. You can model aerodynamic drag (CdA), rolling resistance and lots more. Furthermore, PowerPod offers PowerStroke, an upgraded software package for $99. PowerStroke takes a unique approach to measuring and analyzing your power data. PowerStroke not only lets you look at left/right data, but allows you to analyze your entire pedal stroke in great detail. With this data, you can experiment with changes to your pedal motion, bike position and bike fit in order to improve your riding efficiency – and therefore your power and speed. See our article on the PowerPod PowerStroke Upgrade for more details on the features and benefits of this software. 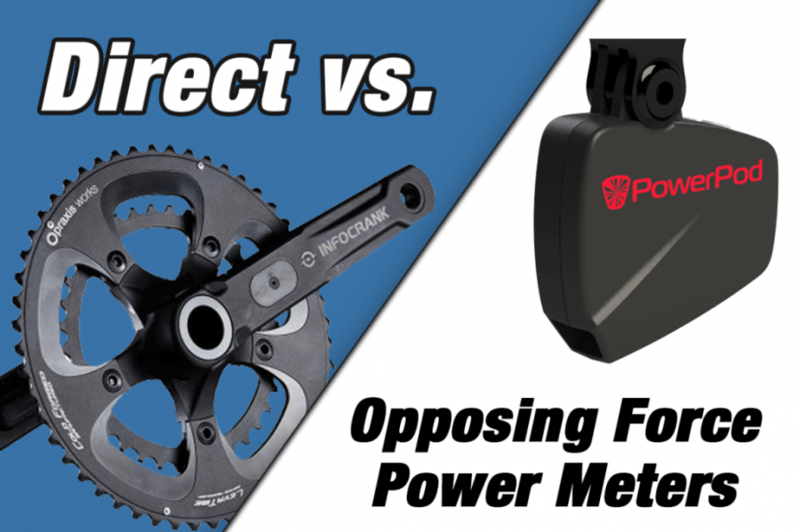 Which Power Meter is Better? Both. Neither. In other words, it’s not about better or worse. They are different. These power meters both calculate a rider’s power. And they both do a good job at it. But they also both come with their own set of considerations which you need to evaluate in order to determine which power meter is best for you. You see, opposing force power meters aren’t trying to be the be-all and end-all for all professional athletes. Rather they are an affordable, simple, easy to use tool that allows you to measure your power output. 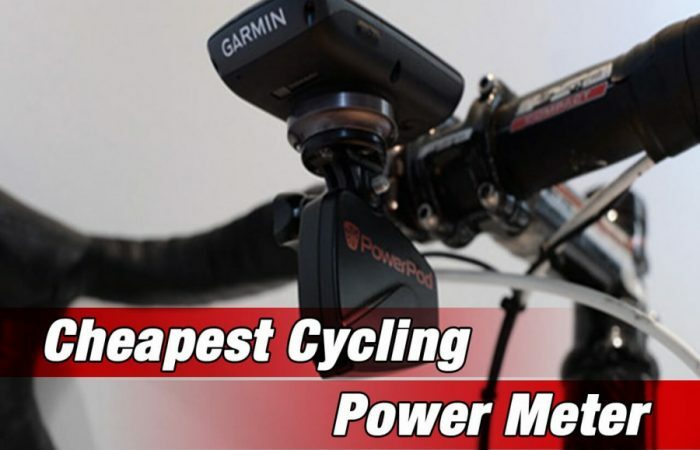 If you’re looking for the most accurate power meter on the market and are willing to pay up for it, then a direct force power meter is likely for you. They cost more, but offer some features not present in an opposing force power meter like cadence detection and real-time left/right power measurement. On the other hand, if +/-3% works for you, then an opposing force power meter might be a great choice. It will offer you some unique features such as ride data and pedal stroke analysis. It will also offer added convenience – easy to transfer, easy to set up, compatible on all your bikes, etc. And it offers all of this at an affordable price. 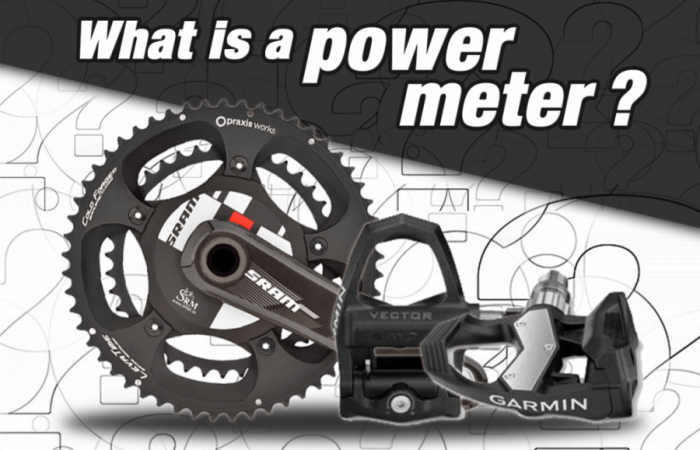 Do you need to move the power meter between bikes? Do you have certain components on your bike you don’t want to mess with or change out? What features do you value most (independent left/right power measurement, Bluetooth SMART equipped, acceleromenter vs. magnet for cadence, etc.)? Are you handy with tools and can you work around your bike and components? 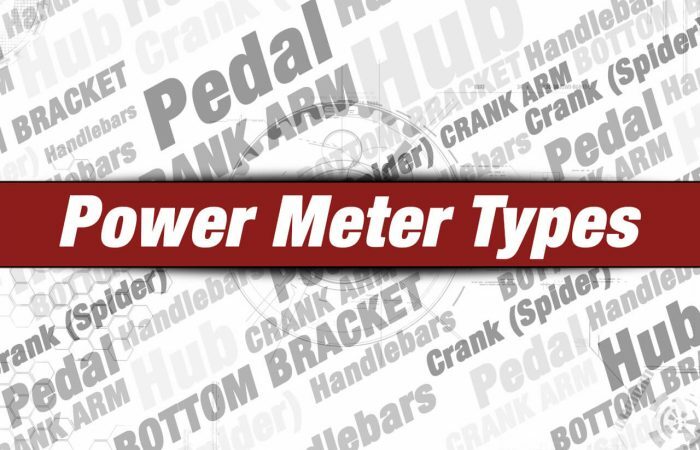 With all this said, lets review these two power meter types across a few of the key metrics you will probably want to consider. While some DFPMs are compatible across a wide range of bikes (pedal-based DFPMs for example), many others are not. For example, crank- and crank arm-based direct force power meters require certain frames or cranksets in order to be compatible. Hub-based DFPMs require certain wheels, and so on. However, since an opposing force power meter mounts directly to the handlebars, compatibility is a non-factor. They can be used on any bike – road, mountain, cyclocross…you name it. Both power meters will utilize cadence records in computing power. DFPMs automatically detect and transmit cadence using either an accelerometer or a magnet and reed switch. Or in the case of the Verve InfoCrank, using CPS technology. An opposing force power meter on the other hand does not transmit cadence. In order to calculate bike speed, you need to add a wireless speed or cadence senor to your bike. Obviously not a major issue, but something to be aware of. Due to the torque exerted on them, over extended periods of time, some direct force power meters will require a re-calibration. This re-calibration typically takes place at the factory. The sensors inside opposing force power meters on the other hand do not require maintenance or re-calibrations. Direct force power meters have been proven to be quite accurate assuming the power meter is installed properly and any zero-offset procedures have been followed. DFPM manufacturers typically claim an accuracy of +/-2% or better. Opposing force power meters also have a high degree of accuracy. One study that compared Velocomp’s PowerPod to an SRM power meter showed the PowerPod was accurate to within +/-3% of the SRM. So this proves the PowerPod’s accuracy – however it also shows that it is not quite as accurate as an SRM. Direct force power meters start at around $400 for a single-sided crank arm-based power meter and go as high as $2,500 for certain SRM crank-based units. 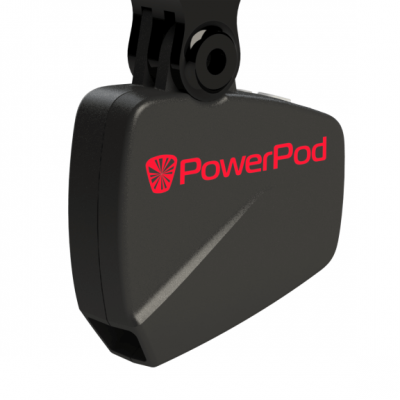 Velocomp’s PowerPod sells for $299. One of the new features available on some DFPMs is real-time independent left/right power measurement. These power meters allow you to measure how much power each leg is generating independently. They do this by locating a power sensor on each side of the crank (on each pedal or on each crank arm), or by making some assumptions regarding how much of your total power is coming from your left leg versus your right leg. Opposing force power meters do not have this capability. I will note that while knowing your power split is a nice feature, there is debate as to whether you can, or even should, try to even out any imbalances. So I consider this a nice feature – but not a must have for your power meter. Some direct force power meters can be transferred from bike to bike with a fair degree of ease. Take PowerTap’s P1 pedals for example. The P1s install like normal pedals with just a hex wrench, so moving them from one bike to another takes about 5 minutes or less. On the other end of the spectrum would be a crank-based power meter. These typically wouldn’t be transferred among bikes due to compatibility issues and the time it would take to do so. Since opposing force power meters typically mount directly to the handlebars, they can be moved from bike to bike quickly and easily. The weight of a direct force power meter varies, from as little as 20 grams for a crank-based power meter (this is added weight), to several hundred grams for certain other offerings. The PowerPod by comparison, weighs in at 65 grams including the mount. DFPM + OFPM = The Ultimate Combination? What if your OFPM could transmit CdA data to your head unit in real time? When combined with a DFPM, you would not only have power data, but could evaluate changes to your riding position in real-time in order to determine their effect on your power, speed and efficiency. While a method to transmit this aerodynamic data (via either ANT+ or Bluetooth SMART) doesn’t currently exist, the PowerPod team has this square in their cross hairs – so stay tuned!